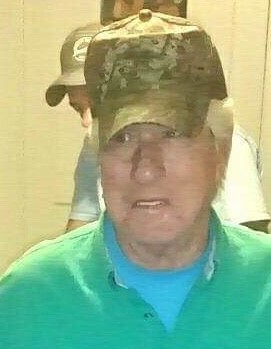 Paul Leonard Hall, 77, of Thomasville, passed away Saturday, February 9, 2019, at Pine Grove Health and Rehab. Born September 29, 1941, in Harnett County, he was a son of the late Peter James Hall and the late Jennie Cameron Hall. Mr. Hall was a retired tobacco farmer and a member of Springfield Baptist Church. He is survived by his wife of fifty-eight years, Eula Coleman Hall of the home; son, Steve Hall and wife Dana, daughters, Lori Marshall and husband Johnny and Cindy Hagins and husband Gary; and sister, Shirley Reinert all of Thomasville; seven grandchildren; and ten great-grandchildren. In addition to his parents, he was preceded in death by his son, Alan Hall; brother, Franklin Hall, John A. Hall, and Donald James Hall; sisters, Annie Belle Holt and Laura Rebecca Thomas, and granddaughter, Candace Marshall. Memorial services will be conducted at 2:00 PM Wednesday, February 13, 2019, in the gathering room of Wright Funerals-Cremations with Rev. Bobby Loving officiating.